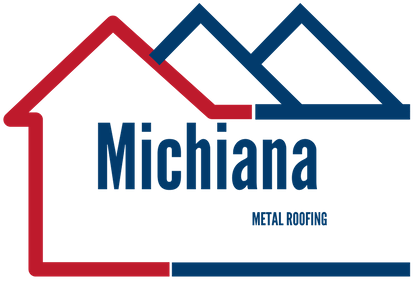 Metal roofing comes in a range of materials. These metals provide a combination of longevity, flexibility, and strength that will flatter any residence or commercial building. Metal roofing materials are constructed mainly from steel and aluminum, but other materials, like alloys and copper, are also utilized but can be very pricey. Aluminum and steel are the most common of metal roofing materials because they’re affordable, resilient, and grasp paint finishes well. Aluminum is a soft, light metal, so it is more susceptible to damage and dents, as well as being costlier than steel. However, aluminum won’t decompose the way steel can if the finish is compromised. When considering a metal roof, you’ll want first to decide the essential look you want it to be. Residential metal roofing is available in two fundamental forms (shingles and sheet-like panels) that are very diverse in appearance. Between these two types, there is a vast assortment of colors, designs, and patterns. Metal panel is the most common pattern of metal roofing. It has a real commercial look that is preferred by architects for its clean and modern appearance. It is frequently used on residences varying from modern masterpieces to mountain cabins. It doesn’t bode well with a colonial style house. Metal shingle style is very different than sheet roofing. With this design, metal is fabricated into shapes that mimic wood shakes, slate, or Spanish tiles. These materials usually are provided factory finishes with multiple layers that may have granulated-stone topcoats to accomplish the realistic effect. The word “metal” contains a lot of ground when you think of metal roofing materials. Stainless steel, zinc, aluminum, copper, alloys, and steel are all materials utilized for metal roofing. Each one possesses numerous properties that influence cost, appearance, and durability. The most common metal roof materials are aluminum and steel. Steel is utilized in metal roofing and is sturdier and heavier than aluminum. Manufacturers have settled on numerous finishes and coatings that safeguard steel from corrosion and rust. Steel is typically zinc-coated for erosion protection and then sealed. A layer of epoxy primer provides adhesion, and a baked-on acrylic top coating delivers color and protection. This material is very lightweight and is used for some home metal roofing. It doesn’t rust, but it should be coated or painted for appearance. Coatings are like those used on steel. Aluminum is an incredibly soft metal, so it dents quite easily and isn’t as sturdy as steel. Other metal roofing materials are available but can be very costly. They offer beautiful metal roofs on high-end properties. Copper, one that is embedded in centuries of use because it doesn’t rust, there’s no peeling or scratching because there’s no finish on it, and is soft enough to handle easily. Copper can be very pricey. Alloy is crafted for resilience, strength, and weathering gracefully. The price depends on the particular material. This one can be pricey. This one is a pricey roofing material, but it doesn’t corrode or rust. Terne coating gives it a matte-gray, natural finish.